If you’re interested in investing, but would prefer to use a robo-advisor instead of a traditional financial advisor and you want to make your investments a little more worthwhile, Swell Investing could be the right choice for you. Swell focuses entirely on socially responsible companies in six different categories, from green tech companies to those that promote healthy living. Its low minimum balance opens up this socially conscious investing option to a wider customer base. Investors who want to put their money toward socially responsible companies and causes. No access to one-on-one advisors. Pricing: How Much Does Swell Investing Cost? Swell Investing charges customers an annual fee of 0.75%. This is the percentage of your portfolio assets that Swell will deduct for its services. This fee is on the higher end of the fee spectrum when compared to other robo-advisors. However, when put into real numbers, it won’t cost you quite as much as you might think. For example, if your portfolio were to have the minimum of $50, you’d only be paying $0.37 for the year. Luckily, Swell Investing sets its minimum balance quite low, opening up its services to customers who cannot meet other advisors’ high minimums. First and foremost, Swell focuses on investing in global socially responsible companies. This means companies in the green tech, clean water, zero waste, renewable energy, disease eradication and healthy living industries. Swell also maintains a selective strategy, or “rules-based” investment approach, allowing investments only with the top companies in their analyses. This includes Philips, Xylem, Tesla and more. Depending on which industries you would like to invest in, Swell’s portfolio team then finds and screens companies to find those with a commitment to making positive changes. Each company’s performance and revenue is taken into account alongside its social impact, too. Then of course, each company’s financial health and stock valuation is analyzed to ensure their continued performance in your portfolio. If any company begins to fail Swell’s strict rules and criteria, Swell will remove it from your portfolio. Swell also looks out for any risks or dips and adjusts each portfolio accordingly each quarter. Swell Investing’s biggest distinctive feature is its focus on “impact investing,” which invests in socially responsible causes and companies. The companies you invest in with Swell are involved in green tech, clean water, zero waste, renewable energy, disease eradication and healthy living. Not only are they involved in these industries, but Swell says it picks the best companies to invest with. The goal is for your portfolio to be filled with the companies that make an impact in their fields and provide solid investment returns. Swell provides an information card for each company so you know what you’re investing in. Unlike other robo-advisors, Swell Investing doesn’t use an algorithm to manage your account. Instead, the company uses a human portfolio management team, which sets it apart from its competitors. However you cannot use Swell experts as your personal financial advisor. Most robo-advisors only use an algorithm with occasional expert input. Some companies don’t even have experts weigh in on portfolios, choosing to use only an algorithm. Not having an algorithm doesn’t mean your portfolio(s) won’t be optimized or rebalanced. Each portfolio is rebalanced quarterly. Swell experts work to optimize your portfolio according to risk and return. They take into account your risk tolerance and the potential risk of certain investments. With those preferences in mind, they can better balance the portfolio for maximum returns. Swell cut underperforming investments, and focuses more on the companies with the most measurable impact. Swell also employs automatic dividend reinvestment. Dividends are the payments you receive from the companies you’re invested in. Automatic dividend reinvestment puts any dividends over $1 back into your accounts automatically, without any actions from your or the Swell team. That allows your investments to grow even more over time. Swell Investing is for those who want to invest in worthy causes. Swell fills its clients’ portfolios with investments in companies that positively impact socially responsible causes. Again, this ranges from green tech to healthy living. You are able to choose which causes you’d like to invest in and focus on. So if you want to put more money toward renewable energy than disease eradication, for example, you can do that. Swell investors can also benefit from some great returns while making a positive impact. While some might think that impact investing yields lower returns, Swell says it has data to show that isn’t true. For one, the MSCI KLD 400 index tracks companies with high environmental and social impact, like those that Swell invests in. This index has outperformed the S&P 500 index for the past two decades. Plus, over $8.72 trillion are being professionally invested in impact companies. When it comes to investing involvement, Swell is great for those who don’t want to, or can’t, manage their investments all on their own, but still want some control. Swell’s professional team of investment experts will do the heavy lifting for you, rebalancing and optimizing your portfolio. However, you still have can choose which causes you would like to invest in and how much you want to invest in each. If you’re all for impact investing and rebalancing, but Swell Investing still doesn’t feel right, perhaps you’d do better with an in-person advisor. That way, you and your advisor can meet and discuss your goals together in real time. SmartAsset’s free financial advisor matching tool can help you find the right advisor to do just that. To get started, you’ll answer some questions on your financial situation and goals like your retirement plans, investment goals (like impact investing) and more. You’ll also be able to give your advisor preferences so we can better match you to the right advisor. 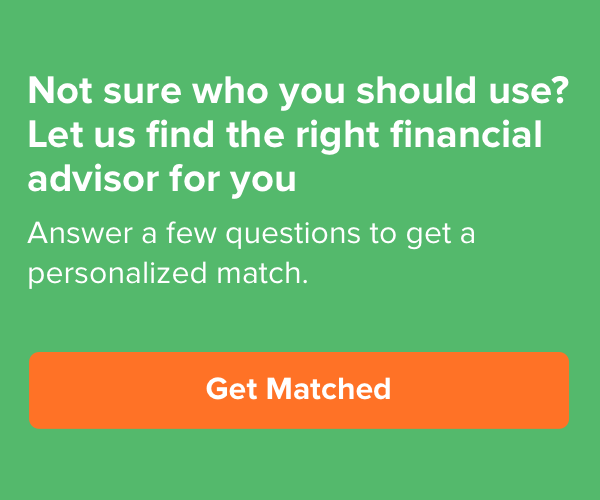 Once we’ve got your answers, you’ll be matched with up to three advisors in your area. Then you can set up an appointment using our online tools and concierge service. To start, Swell keeps its investment options limited to six different themes. These themes (green tech, clean water, zero waste, renewable energy, disease eradication and healthy living), or portfolios, guarantee high positive impact in the world and potentially high returns in your portfolio. You start by choosing the portfolios in which you want to invest. Swell then finds the best companies within each theme. To find the best companies, Swell experts first ensure a company maintains a commitment to positive impact, not only in their field, but in multiple areas of its business. This includes researching how a company makes its money. Once a company has passed the impact criteria, then Swell makes sure it can provide high returns for those who invest in that company, by checking its financial health and stock valuation. After a company passes Swell’s strict processes, Swell can create your portfolio mix. The exact mix will depend on your preferences and tolerance for investment risk. Swell will assign a certain weight to each cause, with the total always adding up to 100%. Swell rounds down each percentage to two decimal places. If this results in a total less than 100%, the remainder needed will automatically be added to the largest weighted cause. If at any point you want to change your portfolio mix, you can easily do so with your online account through the “Edit Mix” option. You can also remove a certain company from your portfolio if you choose. The work doesn’t stop there, though, since Swell experts monitor portfolios to rebalance each account on a quarterly basis. This is where Swell cuts low-performing investments and companies and boosts well-performing investments to further increase your returns. One downside to Swell’s many benefits is its annual fee. The 0.75% fee is higher than many of its competitors’ annual fees. And while its $50 minimum is low, it is possible to find other robo-advisors which have a lower minimum or none at all. However, when you do the math, paying a 0.75% fee on, say $50, only costs $0.37 per year. You may also dislike Swell’s lack of human financial advisors. By definition, robo-advisors are meant to be automatic and online. However, competitors like Wealthsimple also provide access to human advisors when necessary. Having the chance to speak to an advisor on-on-one does come in handy when you have questions specific to your portfolio and financial situation. With Swell, you can contact customer support through email, but you won’t have easy access to a personal advisor. Swell Investing stands out for its dedication to positive impact, both in society and in its clients’ portfolios. Not many other robo-advisors consciously lean toward socially responsible investing, with some exceptions being Wealthsimple, Motif and Hedgeable. However, socially responsible investing isn’t the main focus of these companies. Rather, they offer these options as part of their many investments. Wealthsimple offers a better fee structure than Swell. A Wealthsimple account does not require a minimum balance and charges an annual fee of 0.50% of your assets. If you have $100,000 to invest, you can open a Wealthsimple Black account which charges the lower fee of 0.40%. Wealthsimple recently begun to offer the option to create socially responsible portfolios. These portfolios will contain fewer ETFs than a standard portfolio, but it allows you to invest in positive impact companies. For those who want to be able to fill their portfolios with causes of their choice, the Stash app provides an alternative to Swell. It’s important to note that while Stash does offer online investment services, it is not technically a robo-advisor. The power of investing is left to you. You can decide what you want to invest in (whether you want to focus on social impact, technology and more) and how much to place in each investment. Stash will still offer guidance and help for those who need it. Bottom Line: Should You Use Swell Investing? Swell Investing is a solid investing option for any investor, whether you’re a beginner or a seasoned veteran. The low minimum makes it more available to those who don’t have thousands of dollars to invest. Plus, even though the fee is higher than other robo-advisor competitors, it won’t take out too huge of a chunk of your earnings. You should consider using Swell Investing if your main investing focus is socially responsible causes. You’ll have a variety of options from sustainable energy to healthy living. That way you can benefit from the returns of investing while promoting worthwhile social causes. Don’t forget that you can do the same with your own financial advisor, as well. Plus, working with a financial advisor through our SmartAdvisor platform gives you more options to find the best match for you and your finances.